The UN in South Sudan said yesterday a convoy including 10 aid workers had gone missing in the southwest of the war-torn country, presumed kidnapped. Alain Noudehou said in a statement the convoy of a mix of United Nations and other aid workers was heading to Tore from Yei, in Central Equatoria region, early on Wednesday and that their whereabouts and well-being was unknown. The 10 were on a mission to provide humanitarian aid to the residents of Yei. Those missing include one staff from Unicef, one from the South Sudan Developmental Organisation, three from Plan International and one from Action Africa Help. An alliance of eight opposition groups who are part of South Sudan's peace negotiations early this month called for Kiir to resign as part of the peace deal. "We are deeply concerned about the whereabouts of these humanitarian workers and are urgently seeking information about their well-being", he said. 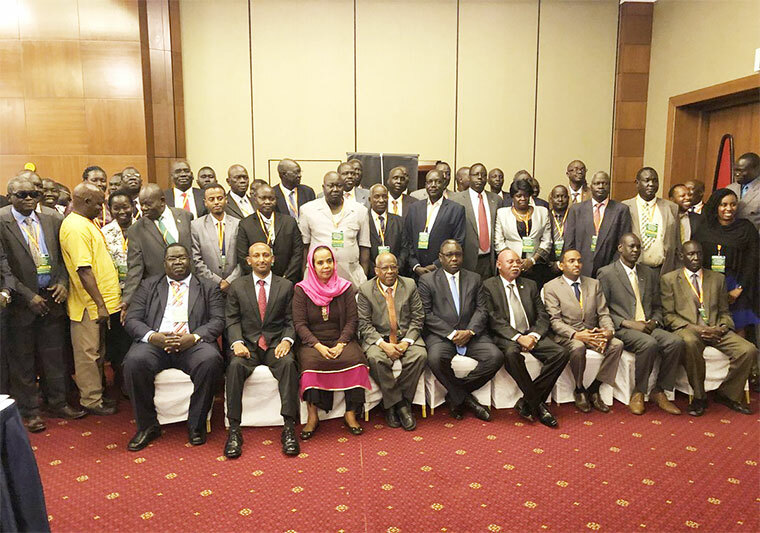 The groups also demanded that Kiir and his former deputy, Riek Machar who now leads an opposition group, the Sudan People's Liberation Army in Opposition (SPLA-IO), be excluded from the unity government. Our colleagues must be freed without conditions so that y can follow ir work, "Noudehou claimed". This is the second incident involving aid workers being held by armed groups in April alone, and the third in six months. "I am not denying or accepting that we are the ones responsible for this but we are investigating because that is our territory, but we should not rule out the presence of other armed forces", Gabriel said. "So until we get that report from the ground commander, we will not be able to confirm", he said.